Darlene Schmerschneider has worked in database management for over 20 years and currently provides system support/database coordination at her local church. Darlene has served with Dr. Beyda on medical missions for five years providing data collection and analysis to evaluate the health of the communities served. She has developed an electronic records system to automate processes in the field. Darlene’s desire to serve the Lord has intersected with her technology experience to open a door to serve beyond the boundaries of her community. Peggy has been a dietitian for 35 years, specializing in pediatrics. She currently works with Dr. Beyda in critical care at Phoenix Children’s Hospital. Peggy appreciates the change of pace global nutrition provides and has even travelled to India and Swaziland on medical mission trips. She believes in the importance of providing nutrition to less fortunate children given available resources. 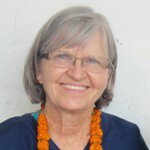 Peggy recently completed her Masters of Science in Dietetics at Arizona State University and evaluated the nutritional intake and growth parameters of Indian children seen on one of her medical mission trips. Peggy’s caring and compassionate nature guide her in her work at the hospital and beyond. Micki Martin Pharm.D. is a Clinical Pharmacy Specialist at the Phoenix VA where she has served our Veterans for 26 years in a variety of settings ranging from Internal Medicine/Intensive Care to most recently Hospice/Palliative Care. Her heart for service not only keeps her busy at the VA, but also at home raising and training four (almost adult!) children, horses, dogs, cats and reptiles of various sorts . Her God given passion to care for others has weaved throughout her life allowing her to participate in a variety volunteer and mission organizations including foster care, hosting international children who come to the United States for extensive medical care, Salvation Army, homeless outreach programs including her own "Sock" ministry and most recently Healing the Children. 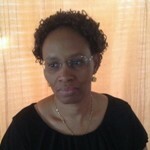 Patricia Kimani is a critical care RN with over thirty years of nursing experience. She completed her training in Medical Training School, Nairobi Kenya and Bachelor of Nursing at Grand Canyon University in Phoenix Arizona. In 1992 while working in Kenya Patricia was instrumental in the opening, and running of the current pediatric emergency department in Kenyatta National and Referral Hospital in Kenya. In 1996 she moved and worked as a Rescue Services Manager in AAR Health Services (Africa Air Rescue) Nairobi where she coordinated treatment, air, road rescue and repatriation of AAR clientele across the globe. In 2001 Patricia relocated to Britain where she worked in critical care in St Georges Hospital and Medical Center in London, and completed her Pediatric Critical Care training at Kingston University London. Patricia then relocated to United states in 2004 where she continued in her nursing career in St Joseph’s hospital & Medical Center, Phoenix as a critical care RN and currently at Phoenix Children’s Hospital as a Clinical Supervisor in Pediatric Intensive Care Unit. Patricia is a graduate of Jerry Seville’s Minister’s Bible Institute and School of World Evangelism and is an Ordained Minister with International Ministerial Council of Great Britain and Ireland. Together with her husband John they are the founders of Summit Faith International Ministries in Kenya, with operations in Kenya and Uganda which include churches, a bible school and an orphanage. Patricia has a passion for missions and medical outreaches and has organized and participated in several medical and outreach missions across East Africa. Patricia is married to her husband John, has three children, daughter in law and one granddaughter. Pastor Gregg Cantelmo, pastor of Bridgeway Community Church since 2003 in Phoenix Arizona, has been active in Christian ministry for more than 35 years. Pastor Gregg graduated form UCLA with a degree in philosophy and then received his Masters of Divinity from Talbot Theological Seminary. He has studied for his Doctorate of Ministry degree at Phoenix Seminary. 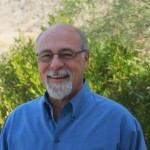 A few of his articles on biblical and theological topics can be found at www.bible.org. With a strong commitment to biblical teaching, personal discipleship, leadership training and team ministry, Pastor Gregg is excited to see others express their giftedness in serving and caring for one another. His leadership style is one of influence, and he highly values truth, grace, and mercy. Committed to missions, Pastor Gregg is also an adjunct missionary with JARON Ministries International, and teaches “personal purity” seminars and spiritual development to pastors and church leaders in countries all around the world. Pastor Gregg has been married since 1976 to his best friend, Kim. They have three children and eight grandchildren. Lyndsay Clements: After fifteen years of working in corporate sales and marketing, Lyndsay recently launched her own business, Ellen Grace Marketing . Her new business focuses more specifically on her passion for providing better connections between organizations and their supporters. She is excited to be working with Dr. Beyda and the team to create a first-rate experience for volunteers and donors as they work to further the mission of Covenant Medical Outreach for those in need. 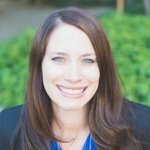 Lyndsay holds a Bachelors in Finance from Santa Clara University and an MBA from the University of San Francisco. She and her husband are active volunteers in their Phoenix church, and have two young, energetic daughters. Amy Stephens brings her logistical planning skills to CMO, along with a passion for mission work and healthcare. She has nearly 10 years of healthcare administration and finance experience including physician practice management and business office operations consulting. Amy also has experience working as a volunteer and program director at a large nonprofit, and she stays busy serving as a volunteer and board member for several organizations within her local community of Door County, WI. Amy has traveled with Dr. Beyda on medical missions in the past and looks forward to serving again on many more trips. She is committed to coordinating all the details of CMO‘s medical mission trips so that participants are ensured a safe and meaningful experience as they serve and love the people CMO will impact around the world. Amy is grateful for God’s blessings that allow us to share our time and talents in order to connect with our brothers and sisters in Christ around the world; and she is inspired by CMO’s mission that helps to build His kingdom through the giving of love and medical care for those in need.